The X-Men meets Ocean's Eleven in this edge-of-your-seat sci-fi adventure about a band of "super" criminals. When the MK virus swept across the planet, a vaccine was created to stop the epidemic, but it came with some unexpected side effects. A small percentage of the population developed superhero-like powers. Seventeen-year-old Ciere Giba has the handy ability to change her appearance at will. She's what's known as an illusionist...She's also a thief. After a robbery goes awry, Ciere must team up with a group of fellow super-powered criminals on another job that most would consider too reckless. The formula for the vaccine that gave them their abilities was supposedly destroyed years ago. But what if it wasn't? The lines between good and bad, us and them, and freedom and entrapment are blurred as Ciere and the rest of her crew become embroiled in a deadly race against the government that could cost them their lives. Illusive incorporates two of my favourite things: heists and superpowers. Since Illusive hasn’t been too hyped up, I wasn’t sure what to expect going into it. All I knew was that the book has been pitched as Ocean’s Eleven meets X-Men. And while I feel like the heist part was lacking just a little, it’s a pretty accurate pitch, in my opinion. Obviously, the thing I loved most about this book was the superpowers part. Some people have developed superpowers due to a virus, and our main character, Ciere, is able to change her appearance and also manipulate her immediate surroundings to some extent. Did you know that this type of power is one of my favourites? If I got to choose a superpower it would be something similar to this, although I think I would go for full on shapeshifting rather than creating an illusion. None of the characters in Illusive particularly stood out, which was a shame. Ciere was okay, but fairly unmemorable. Her friend, Devon, was an annoyance, and someone who I would really like to see brought down a peg or two. I did, however, really like Kit, and to be honest I even admired him a little bit. Other than those three, none of the characters were memorable to me at all. 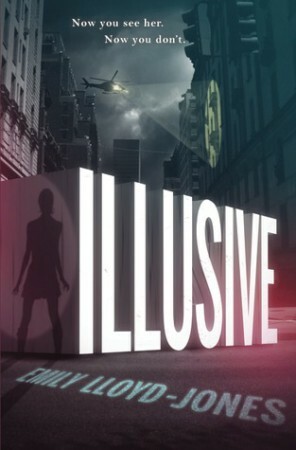 Illusive is action-packed and thrilling, and I was kept entertained throughout. The heist was intriguing, and I loved seeing the plot evolve through different points of view. I’m very much looking forward to the sequel, and I’m especially looking forward to seeing more of the superpowers. I hope that Ciere continues to grow and develop as a character, and hopefully she will become more interesting as we spend more time with her. When I saw this a couple months ago, I clicked “To Read” right after I saw the word “X-Men.” I’m a huge Marvel fan, and I’ve seen all of the X-Men movie. Ciere’s powers kinda sound like Mystique’s. Nevertheless, I think I’m going to give it a shot some time. Two of my favorite things: X-Men and Ocean’s Eleven. 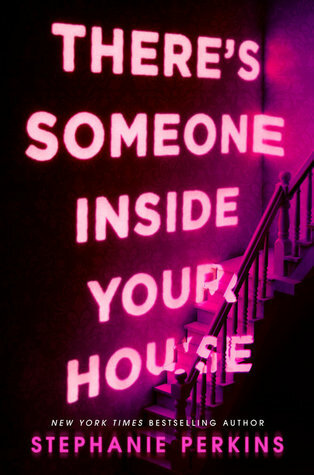 I haven’t gotten to this book yet, but it’s in my TBR. Glad you liked it overall, Amber!